Add your own custom name to this adorable, metallic bridesmaid bag. 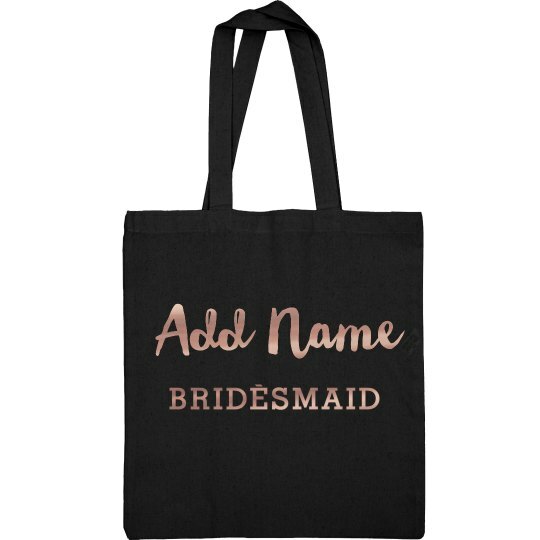 Personalize a cute tote for each of the ladies in your bridal party. Surprise them with a special gift!